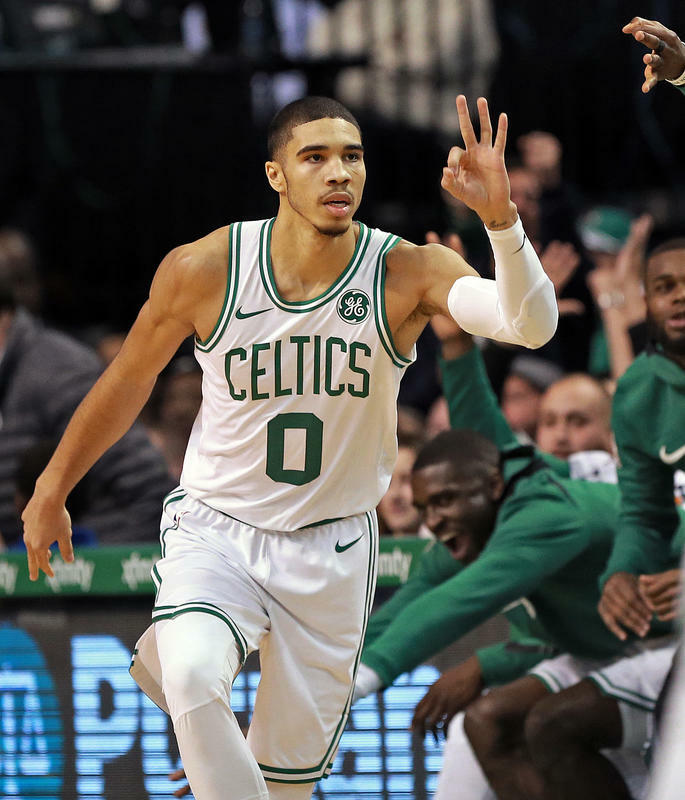 Jayson Tatum has now played 17 games in the post-season and has scored a total of 312 points. That puts him behind only Kareem Abdul-Jabbar, Alvan Adams and Elgin Baylor for fourth place in rookie, post-season points in NBA history. 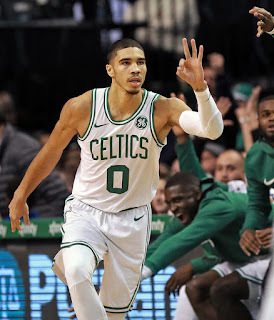 His 24-point game last night in Boston's 96-83 victory over the Cleveland Cavaliers saw Tatum overtake George Mikan, Jack Sikma, Wilt Chamberlain and Magic Johnson in the rookie-playoff-points race. Jayson had a heck of a game last night. He shot 7-of-15 from the field, 3-of-7 from beyond the arc and 7-of-8 from the free throw line. He added seven rebounds, four assists, four steals and two blocks. He was all over the place on offense. Putting up a one-legged fall-away 17-footer and then beating Lebron James to a loose ball and going in for a layup were only two of his memorable plays. Jayson was equally effective on the defensive end, grabbing seven boards while getting four steals and two blocks. According to the NBA's Jimmy Golen Tatum needs just one more 20-point game to tie Kareem Abdul-Jabbar's rookie record of 10 in a post-season. Top rookie scorers in postseason history. As many observers have noted, this Celtics team may be young and injury-depleted, but it certainly doesn't lack for energy or grit. Lebron James genuinely looked fatigued in this game and it looks like the energy of the Boston youngsters may be taking a toll on him. He will certainly bounce back in Game Six in Cleveland, but it would be nice to send him home via a Celtics victory.